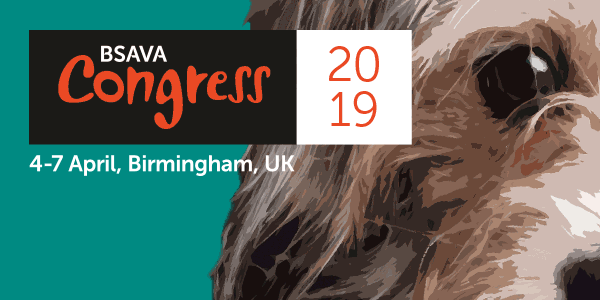 BSAVA Congress will introduce a crèche at its 2019 Congress, ensuring all vets and nurses can focus on access to more than 450 hours of world-leading CPD. BSAVA has chosen award-winning childcare experts Nipperbout to run the crèche facility for children aged 0 - 8 years, helping parents to explore a wide range of lectures, practical sessions and abstract presentations at the largest event in Europe dedicated to the provision of small animal veterinary CPD. The move follows a BSAVA survey this summer including responses from Congress delegates, members and the wider profession, where more than 50 per cent of respondents said they would use a creche at Congress. Angharad Belcher, BSAVA’s Head of Congress said: “We recognise that veterinary professionals, especially working parents, are facing increasingly complex time demands - it can be tricky to find flexible solutions that meet the needs of the practice, without compromising on personal time. “In person CPD encourages delegates to immerse themselves in the educational content, and the networking and reflection during breaks is invaluable to the learning process. Congress is the perfect place to get high level CPD suitable for all levels and educational needs, while reducing concerns around childcare. Birmingham is a great destination with lots of fun things to see and do, and BSAVA members get discounts on local attractions such as the nearby Sealife Centre and LEGOLAND Discovery Centre. Places are available for children aged 0-8 at £30 a day (including lunch and refreshments) when registering for Congress online, or for more information please give us a call: 01452 726720.